Brian McCaffrey took part in the Clontarf Half Marathon in November to raise funds for Mayo Cancer Support Association. He is pictured at Rock Rose House presenting a cheque to Eugene Connolly, Treasurer. 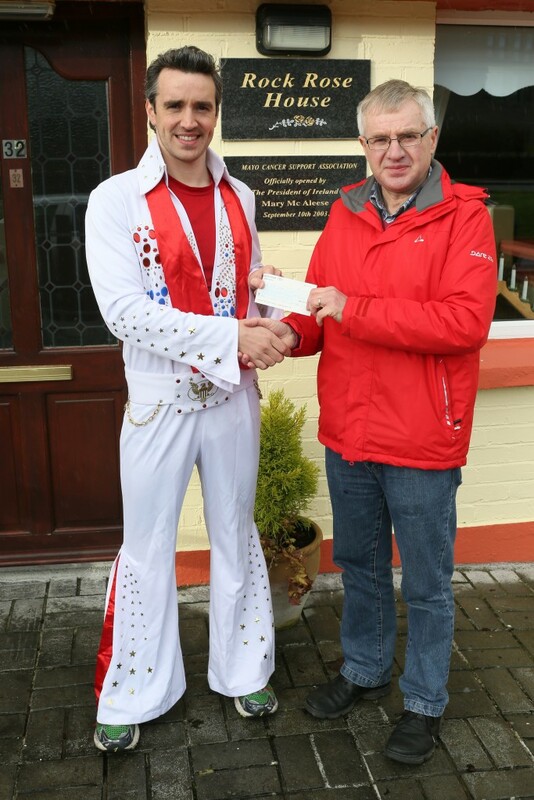 Sincere thanks to you Brian (Elvis) for you tremendous effort and support of our organisation.